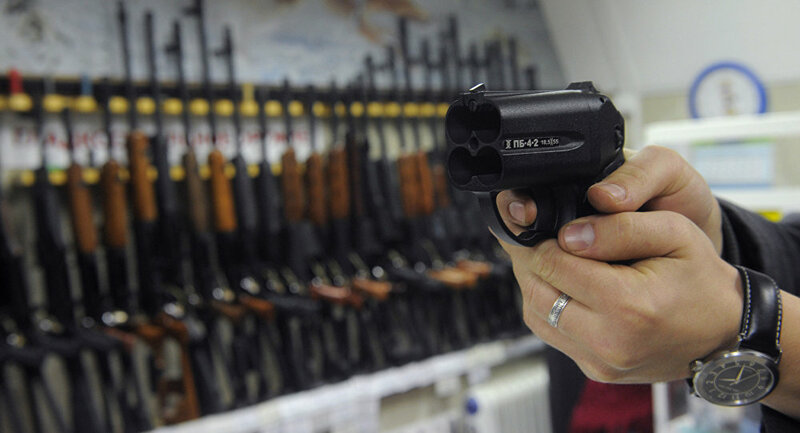 One of the police department’s in Arizona would soon become the first agencies in the United States to use the Russian-made Osa handgun with rubber bullets; the local police hopes the use of Russian guns would lead to fewer deaths, the LA Times reported. Being right on the Southwestern border of the United States, the Pinal County Sheriff's office often has to deal with illegal immigrants, smugglers and human traffickers coming from the south. "Illegal immigrants don't generally have guns, but they could be throwing rocks. I've seen those incidents end with someone getting shot, someone getting killed," said Pinal County Sheriff Paul Babeu, as cited by the LA Times. That's why with the use of the Osa, a four-chamber pistol that uses a laser target pointer and shoots rubber bullets, would bring the number of deaths down, the sheriff said. Osa bullets have blunt edges and don't make piercing wounds. Instead, the rubber bullets strike targets with the force equal to that of a person swinging a baseball bat or a professional boxer's punch, according to Leao Gitirana, a spokesperson for the US distributor of the Osa. The Osa handgun might be just what US police agencies have been looking for all these years with the goal of decreasing the number of fatal police shootings in the country, the LA Times said. The Russian handguns would become available to all Pinal County deputies early next year and will cost the department $1,100 each. In addition to rubber bullets the handgun can also fire flares, pepper-gel bullets and flash-bang rounds.